John Caine, Pearl Harbor’s knight-errant gumshoe, is hospitalized, recovering from a near-fatal bullet wound whose cause is most instructive. Along with the rest of the entourage of his friend Chawley Choy—the gangster with a moral code as rigid as a missionary’s—Caine has hit San Francisco in the middle of a triad insurrection. Racketeering rivals have followed Chawley, intending to dislodge him with extreme prejudice from his perch atop Hawaii’s illicit empire in order to redistribute the wealth. Risking life and limb, Caine has protected Chawley, but in the process taken the bullet that almost does him in. The Choys are grateful, but because the city of San Francisco is not, Caine is soon charged, arrested, and extradited from Hawaii to stand trial. Although Caine was among the bushwhackers’ targets, the charge turns out to be first-degree murder because a passerby was killed in the fusillade—not by Caine, prosecutors acknowledge, but the law is the law, at least in California, just the same. In the meantime, Caine is beset with other troubles and complications involving sunken Spanish treasure, a king’s long-lost tomb, militant youth groups, and duplicitous behavior in the groves of academe. Fresh wounds result, bones break anew, and though the Hawaiian eye does manage to survive it all, he seems at the end chastened, a bit less than usual like Travis McGee. 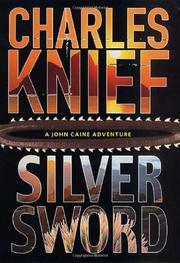 Knief wove a more coherent narrative in Caine’s first three outings (Emerald Flash, 1999, etc.). For all his gung-ho attitude, the big guy could have used more support from his story this time too.